The Gables Hotel in Falfield, near Bristol, has seen a large turnout of guests for the third in the Climalife seminar series. So far this morning Peter Dinnage has talked about F Gas legislation, quota and how this could affect supply and how the new Climalife F-Gas Solutions mobile app can help. Paul Wilford has presented leak detection solutions from MURCO. The first Climalife Technical Seminar is well underway today at Watford Football Club. FREE Technical Seminars - coming in March to a location near you! Climalife will be hosting a series of six technical seminars across the UK offering delegates a fantastic opportunity to catch up with the latest news in the world of refrigerants. Renewables expert, John Westerman understands Ground Source Heat Pumps, the importance of using quality thermal transfer fluids and getting the installation right. 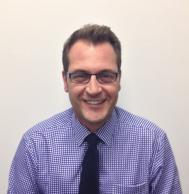 Here are some Frequently Asked Questions that John has answered and may help you or your customer in maximising the performance of their Heat Pump system. R22 ban now in place. Climalife have solutions for converting your system . Do you have a system still running on R22? 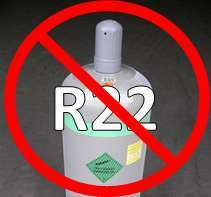 It is now illegal to use R22 for service or maintenance. Merry Christmas & and Happy New Year from Climalife. The team at Climalife IDS Refrigeration would like to wish all of their customers, friends and colleagues within the industry a very Merry Christmas and a Happy New Year. Climalife Accounts Assistant, Jay Vickery, is a regular helper at local animal sanctuary; Holly Hedge, delivering food donations and helping to walk the dogs in her spare time. Each year the sanctuary runs a shoe box appeal for Christmas and this year Jay rounded up the troops in the office to support the filling of two shoe boxes.